Bento box: Portion on-the-go meals in the bento box. Portion meals at home using individual containers. Prep food ahead in lidded containers. 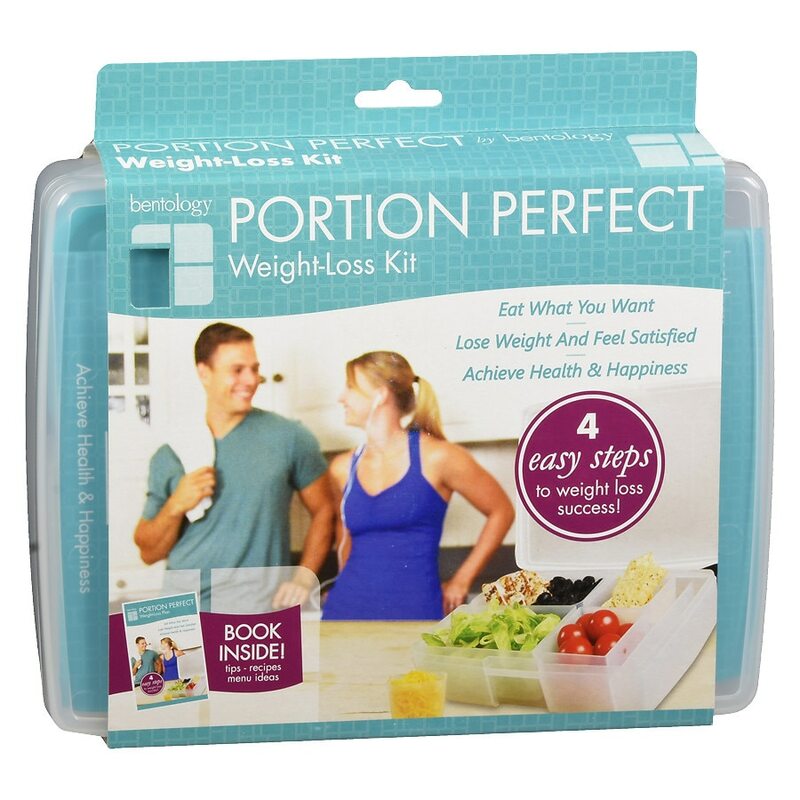 Book: Portion perfect plan. Easy to follow. No weighing foods or counting calories. Quick and delicious. Menu plans and shopping lists included. No starving. Feel full and energized. Stay inspired. Meal and exercise tips to keep you motivated. Customizable. Works for any weight loss goal, or dietary restriction. Menu ideas: Join our community. 100+ portion perfect menus. Portion control tips and blog. Bento box: Pinch tab in & up to open. © Obentec, Inc.